Wheat is one of the most versatile grains present in almost everything we eat. But did you know that the extracted, refined version of this grain, which is typically available in today’s market, has lost almost all its nutritious aspect thus becoming more harmful? Yes, you read it right! Whole wheat, in its raw form, is highly nutritious. But, during extraction and the cleansing process, the outer brown layer of wheat - that actually contains a variety of nutrients - is often removed and dubbed with chemicals. 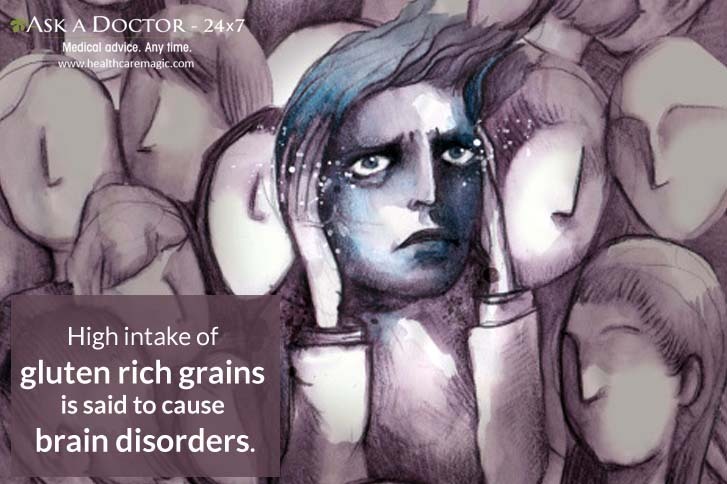 Thus, the refined version of wheat can cause more harm than good! Read here 6 reasons why you should reduce refine wheat consumption in your daily diet. Phytic acid, a substance found in wheat, impairs the absorption of calcium, zinc, iron and other minerals from the vegetables, lentils or any other food that we usually eat with the wheat-made food. Furthermore, it does not contain all the essential amino acids in the right proportions, making it not a very good source of protein. The wheat we consume today is loaded with gluten. 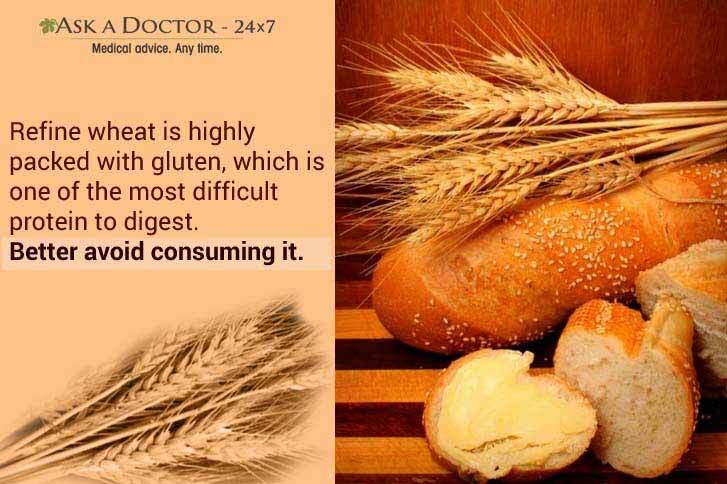 Regardless of whether you have “gluten-intolerance” or not, gluten is harmful for health. Various studies acclaim that regular consumption of wheat may cause chronic inflammatory condition affecting the gastrointestinal tract in your digestive system. It can also lead to other digestive issues. Amylopectin, the main carbohydrate found in wheat, is said to raise our blood sugar faster than any other carbohydrate including table sugar. 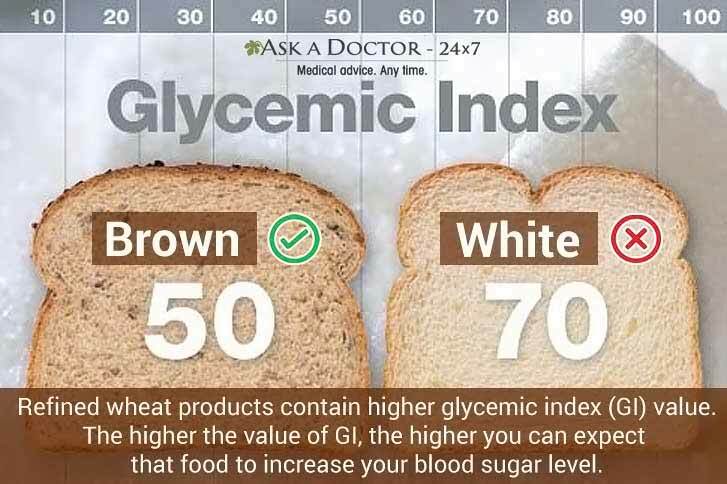 Another feature of refined wheat products is that these get digested easily, and as a result, can spike up the blood sugar level. Also, It can cause insulin resistance, weight gain, and belly fat. Refine wheat has the potential to raise the small, dense LDL (the “bad”) cholesterol. The elevated level of bad cholesterol puts you at an increased risk of heart problems. Wheat can be addictive too. The gluten we eat gets broken down into opioid peptides, (peptides that bind to opioid receptors in the brain). These peptides travel into the blood and eventually into the brain, causing addiction to wheat. 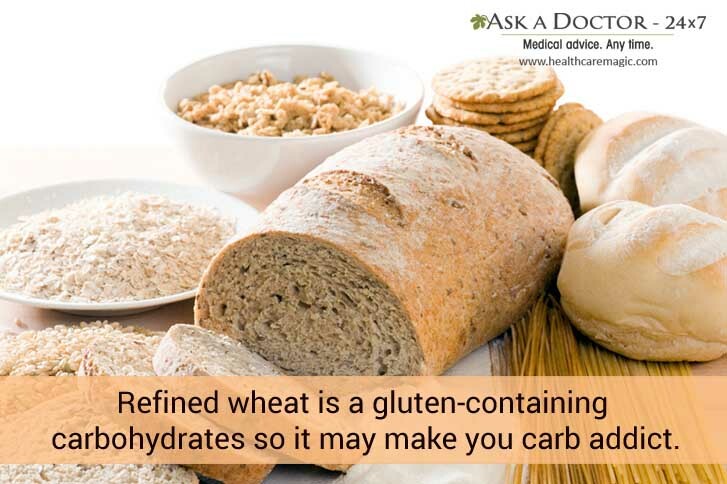 As stated above, refined wheat contains gliadin - a gluten protein. And a high intake of this protein is said to distort the brain causing mental fog, sluggishness, and fatigue. It can also make one more susceptible to depression and cause brain disorders such as schizophrenia, cerebellar ataxia, autism, and epilepsy. 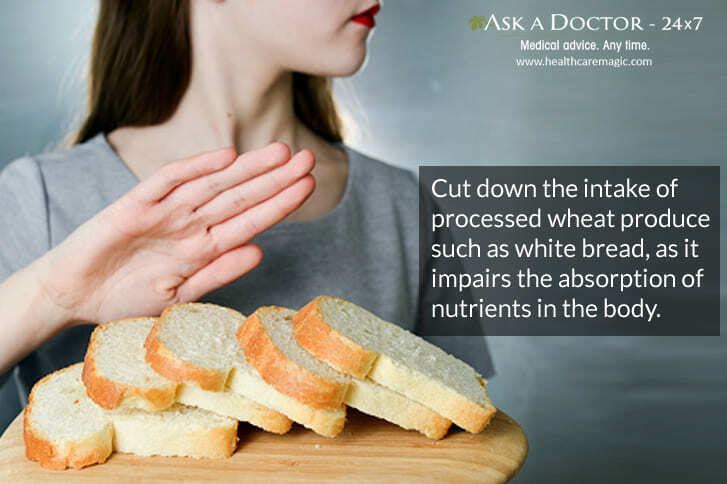 As refined wheat is used in so many foods today, cutting it out completely from your diet can be a difficult task. 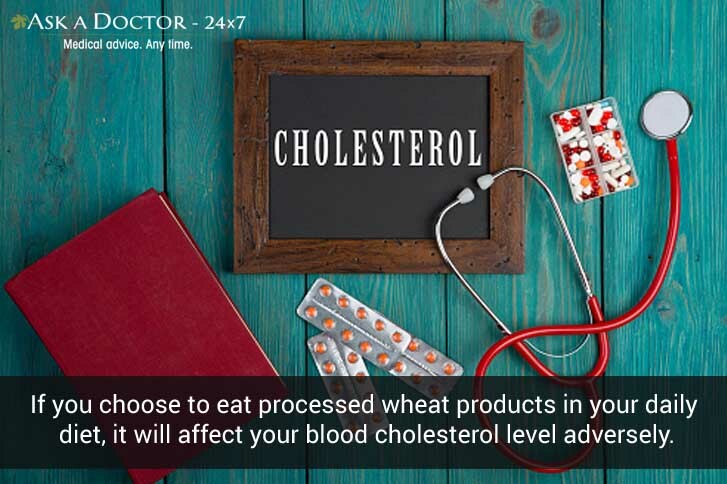 But, replacing the refined grain-based foods, such as white bread, or processed breakfast cereals, etc., with millets, oats, brown rice, and whole grain alternatives is always possible. Alongside, prefer eating more of green vegetables, nuts, and fruits in proper amount so as to lead a healthy, gluten-free life. 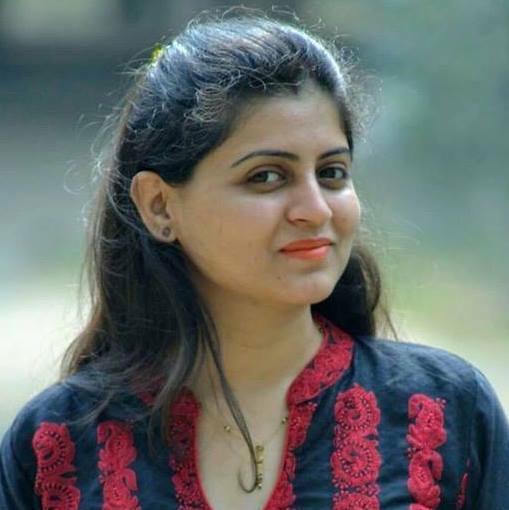 Ruchi is a professional content writer with more than 4 years of experience in developing content for varied verticals.